Losing a loved one is never easy. During this difficult time, your time and attention should be devoted to your own emotional healing—not caught up in stressful and overwhelming legal issues. 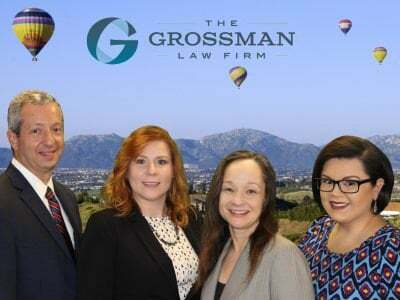 Our Temecula, California office is conveniently located to help shorten the distance you have to travel if you need to meet in person with Attorney Grossman. 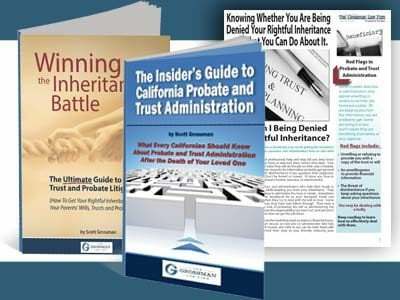 So our goal is to make the process of administering your loved one’s trust or estate or pursuing a Temecula probate, estate and trust litigation matter as painless as possible. Our office address is 43537 Ridge Park Drive, Suite 101, Temecula, California, 92590. We know that you are dealing with a great deal of stress and emotional strain during this difficult time, it is important to act quickly after your loved one passes. Waiting could cause harm to the assets of the trust or estate. Fortunately, you do not have to navigate this process alone. We are here to help! Contact us today at our toll free number 888-443-6590 to schedule a meeting. 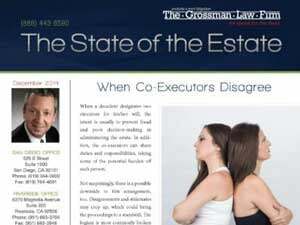 At the Grossman Law Firm, we love to hear the feedback of our former clients. As the people who have worked directly with us in the past, our former clients are able to give the most accurate review of our services. Please follow the link below to leave a review. Thank you for giving us your valuable time. We feel confident that your efforts will be beneficial to others who are seeking assistance with their trust or estate legal matters.